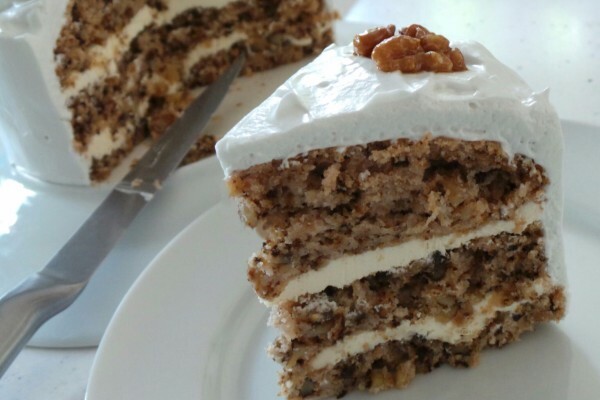 Fleckney cottage industry The Vegan Cakery is celebrating after being named ‘Best Vegan Bakery’ at the annual Vegfest UK Festival on Saturday, 10th October, at London Olympia – one of the biggest keynote vegan lifestyle events in Europe. Artisan vegan baker Michelle Orme, who established The Vegan Cakery in 2012 as a home-based enterprise focused on producing the ultimate in delicious vegan cakes and pastries, received the accolade at the Kensington venue during a ceremony hosted by comedian Jake Yapp. Marking the second major award in just over three years of business, having been named Best Vegan Company at the UK Vegan Awards in 2013, the Leicestershire baker says the accolade is also recognition of the charity work which is at the core of everything she does – so much so, Michelle chooses not to take a wage in favour of donating as much as possible to animal causes. 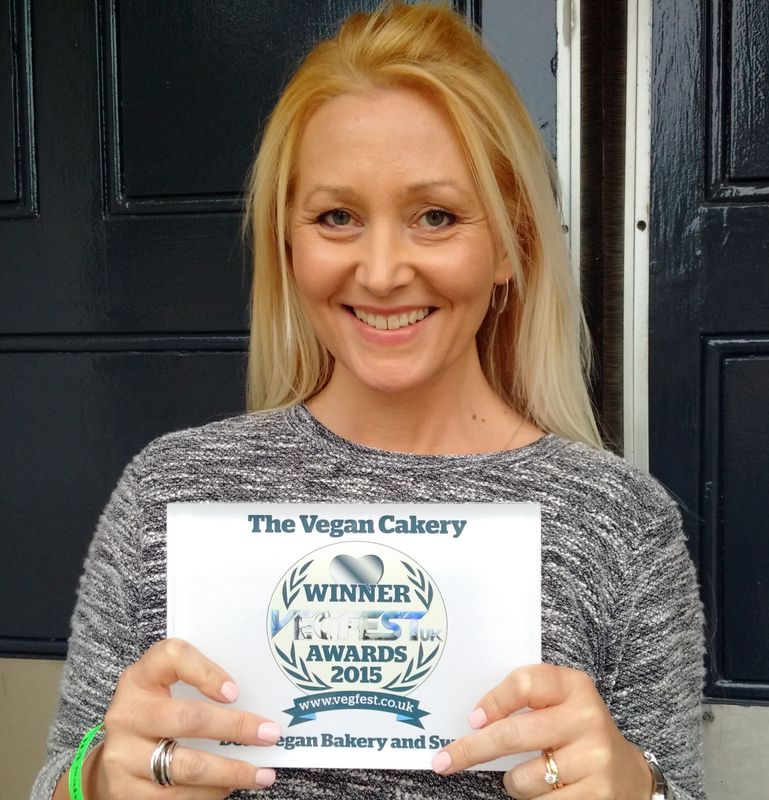 “I never enter myself into awards or competitions so it means a huge amount my customers put The Vegan Cakery forward for the ‘Best Vegan Bakery’ category, and then voted in such big numbers for me too – thank you so much to all of them”, said an elated Michelle. 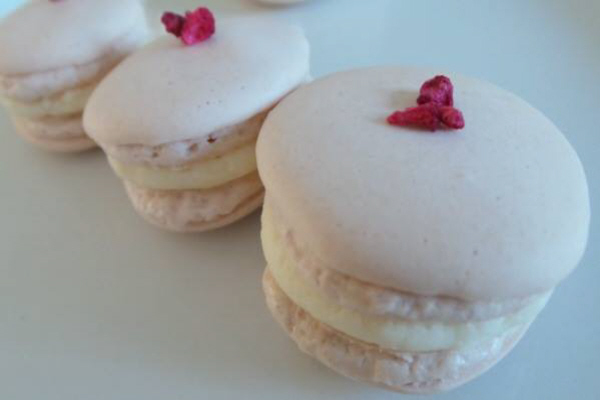 Making all of her own recipes from scratch, Michelle has created more than 200 different products which range from cruelty-free cakes, cupcakes and pastries to Bakewell Tarts, Battenbergs, occasion cakes and trademarked Lemon V’urd – vegan lemon ‘curd’. 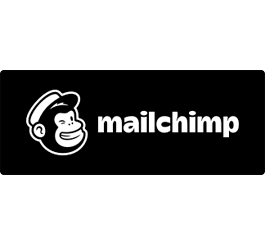 As a true one-woman operation, every product is baked fresh to order by hand, ensuring customers receive the ultimate vegan treats time after time. The Vegan Cakery is also proud to be registered with The Vegan Society which, of course, was founded in Leicester in 1944 by Donald Watson. 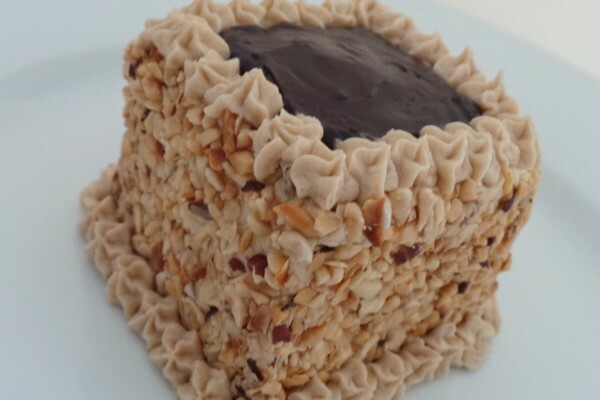 While most of The Vegan Cakery’s business is online with UK-wide delivery, the business also supplies a range of outlets including Leicester’s own Café Mbriki on Carts Lane in the city. Owned by Maggie Barton, the delightful Greek-Cypriot café was the first trade customer to get behind The Vegan Cakery from the outset and the partnership has gone from strength-to-strength ever since. Copyright © 2015 The Vegan Cakery, All rights reserved.